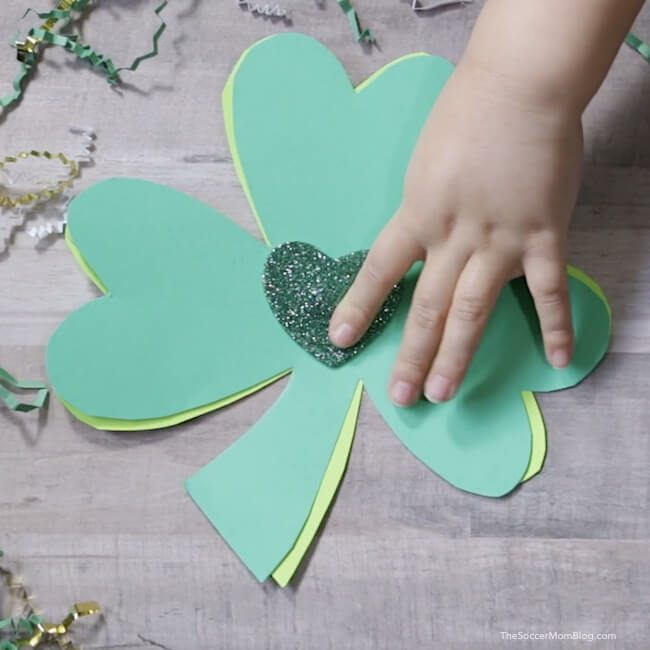 This spinning kid-made shamrock photo card is a cute and easy St. Patrick’s Day greeting card! 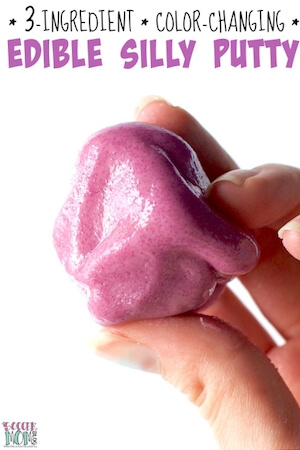 A fun project to make at home or in the classroom with simple craft supplies. If you’ve followed our blog for a while, you’ll know that we make photo cards for every occasion. If you’re new here, I can’t wait to show you some of our favorites, like our Easter Egg Pop Up Card and our Pumpkin Pop-Up Card. We’ve made a photo card for pretty much every holiday so far…except St. Patrick’s Day. 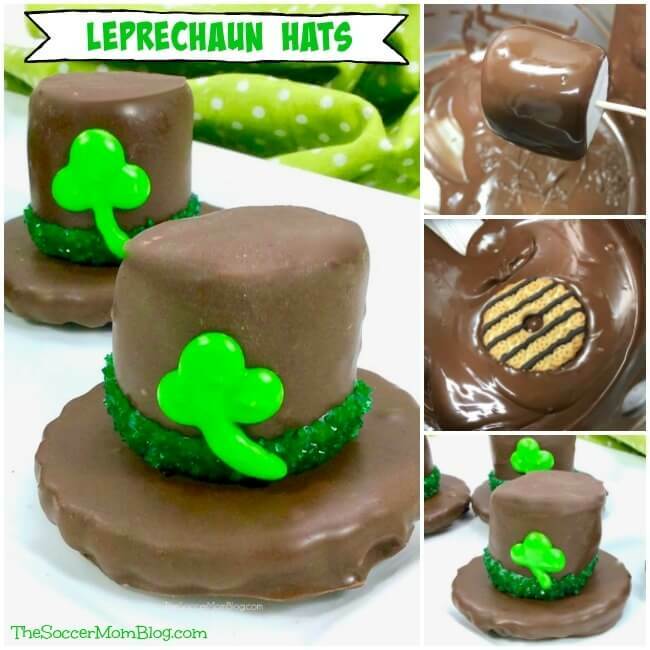 So of course we had to put our thinking caps on and come up with an idea — our family is part Irish after all! 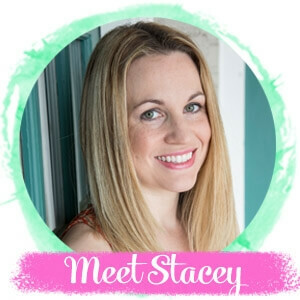 I am so excited with how our shamrock photo card turned out – it might just be my new favorite! This one I made with my four-year-old, and she had a blast. 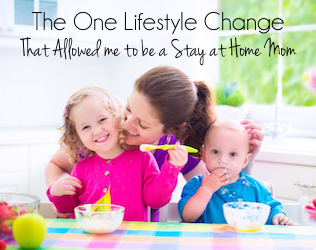 She even asked me if she could keep it instead of giving it away. Guess we’ll have to make more shamrock cards! I think we made a great team – her favorite part was adding all the sequins and I handled the cutting. It’s funny — to me, adding all those individual sequins felt a bit tedious — but my daughter loved it! She figured out a system to put a bit of glue on her fingertip so that the sequins would stick right to her. Then she’d transfer them to the line of glue we’d already drawn on our card. She made it look easy! 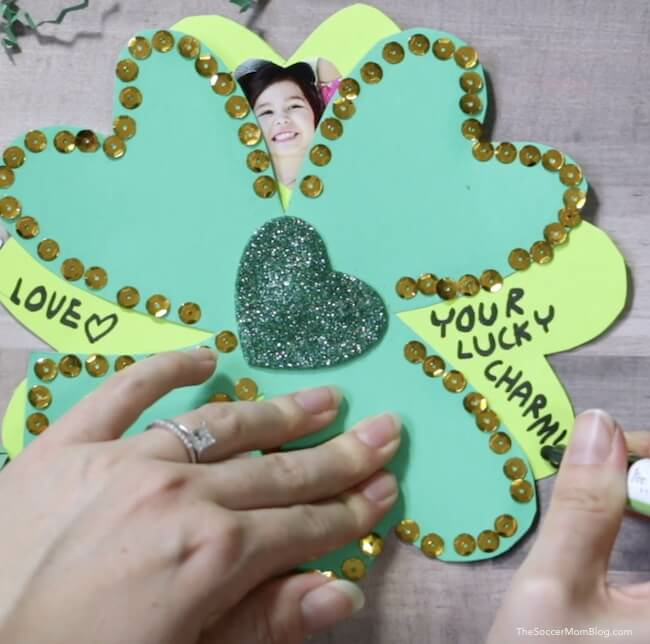 We made a video so you can see exactly how we made our shamrock photo card, plus there is a hand supply list with a copy of the template that we used. 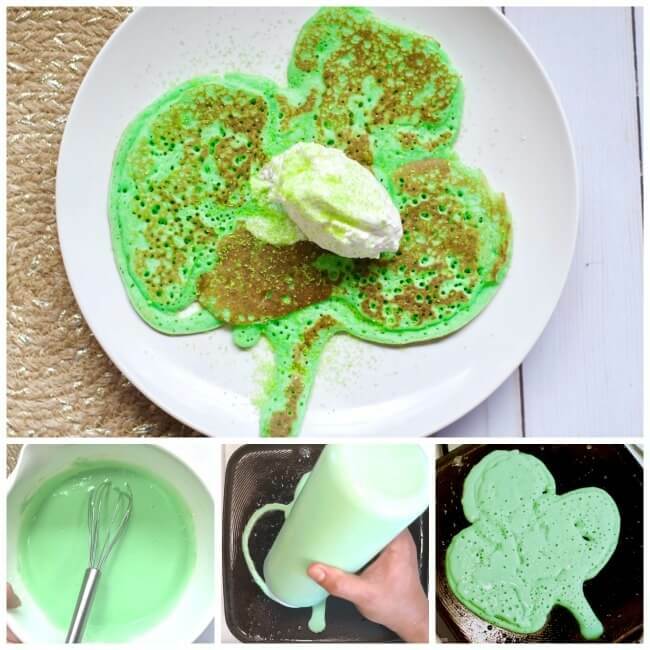 Happy crafting and Happy St. Patrick’s Day! 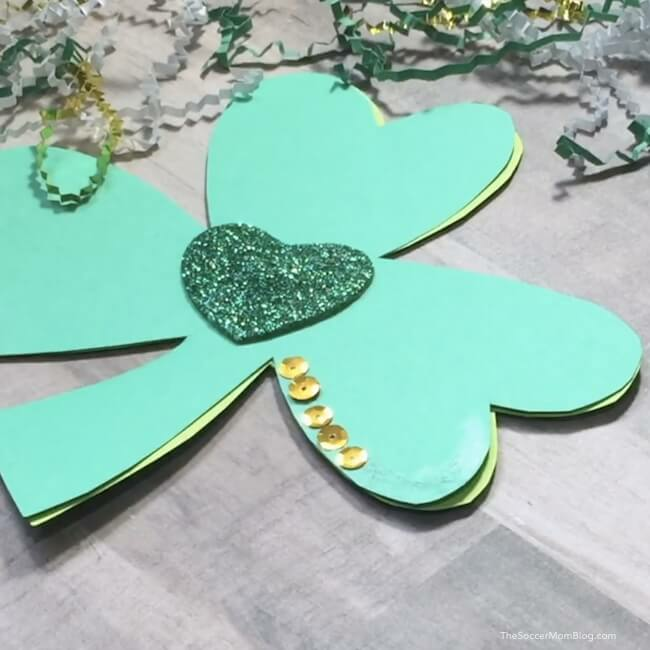 Affiliate links are included for your convenience in purchasing the items used to make our spinning shamrock photo card; read our disclosure policy here. 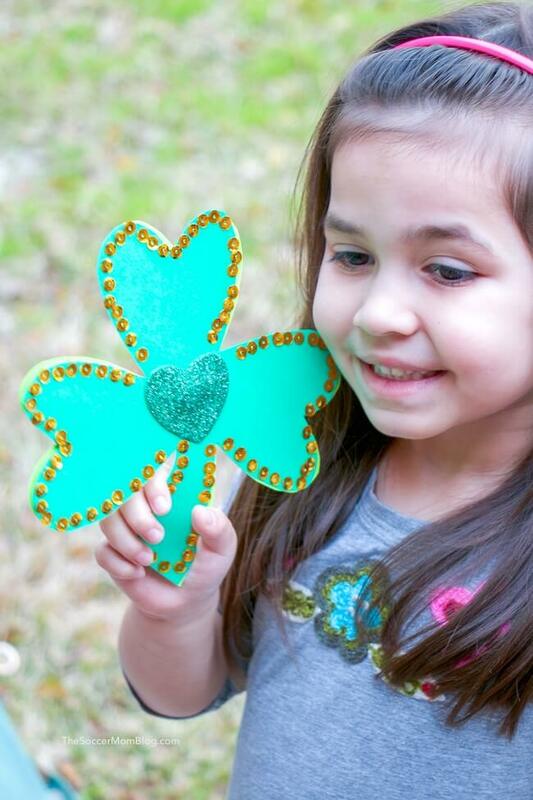 Watch our quick video tutorial below to see how we made our St. Patrick’s Day photo card. 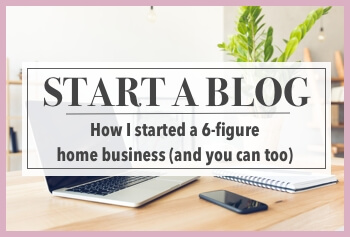 There are also complete step-by-step photo instructions available below the video. The first thing you’ll want to do is grab our free printable craft template to make our St. Patrick’s Day card. You could freehand the shamrock, but a pattern makes it so much easier to ensure that both cutouts match up perfectly. Plus, we’ve sized the shamrock template for you, so there’s no guesswork! 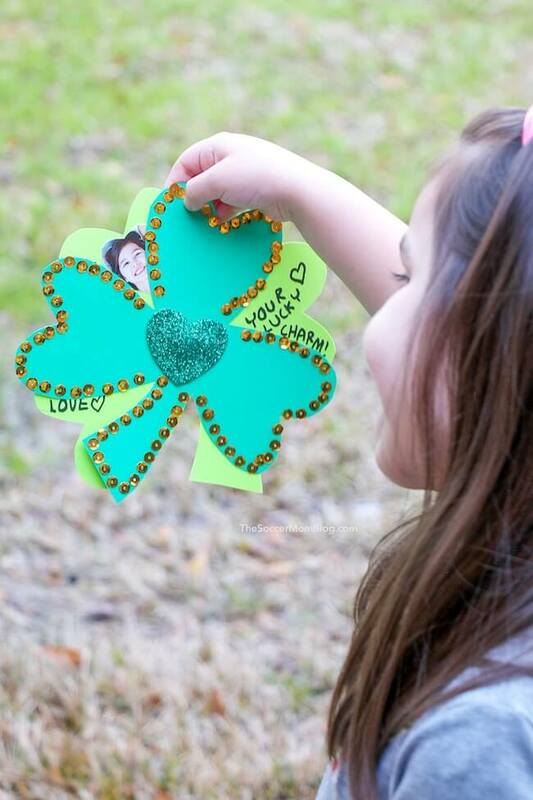 Before we put the card together, we glued my daughter’s photo to the top leaf of one of the shamrock cutouts. 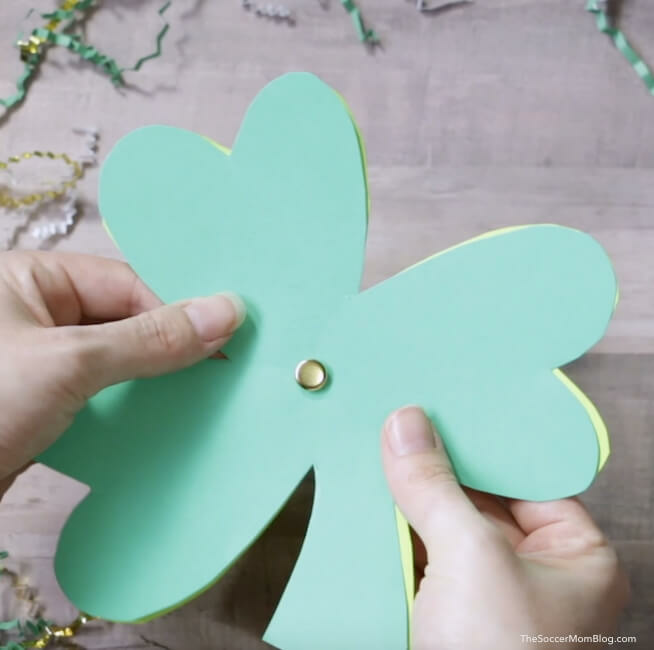 After you trace and cut out the shamrock pattern on two pieces of green card stock, stick a brass fastener through the middle to attach them together. We used a glittery foam heart sticker to cover up the fastener. We outlined our shamrock card with gold sequins. To do this, we simply made a line around the card with glue stick and then stuck the sequins on one by one. My daughter loved this part! 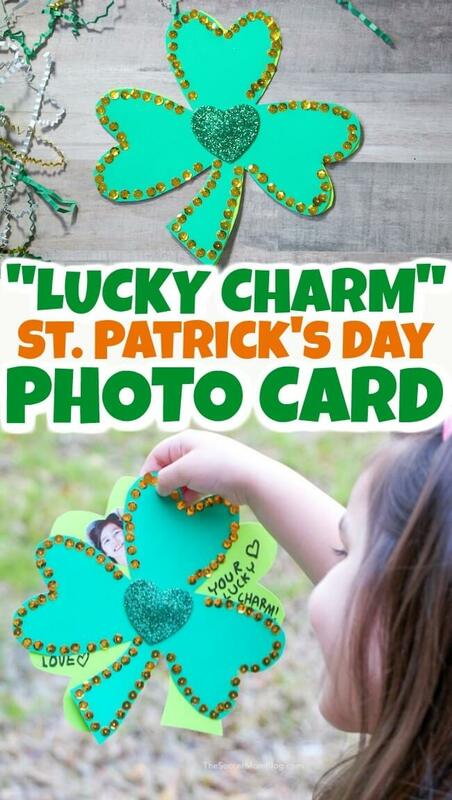 You could also use glitter pens, stickers, or any other fun craft supplies to decorate your shamrock photo card. Finally, we wrote our St. Patrick’s Day greeting inside. 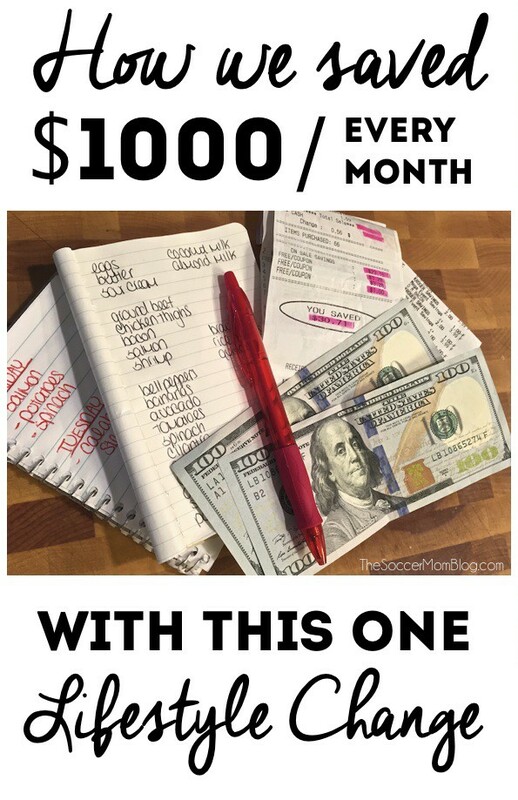 Feel free to use ours as an idea-starter, or create your own unique message! Want to see more of our photo craft ideas? Click here for a list and access to all the free printable kids craft templates!